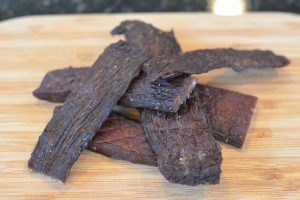 Beef Jerky is one of the popular foods in several parts of the world. Although initially spread in the borders of Australia & America, beef jerky has spread to various other locations due to its food quality and unique taste. 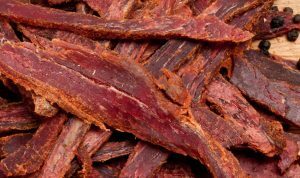 The origin of beef jerky is supposed to be in South America based on a preparation usually made by Indians long ago. Then meat was used to be dried to keep for long trips. It was known as Charqui and was particularly helpful if people set out for a voyage. The quality of the meat remained the same as before and that is how beef jerky was made based on this concept with a little tweak. 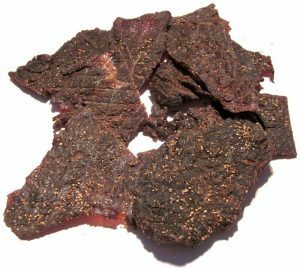 As beef jerky is full of proteins those are necessary for human beings, it is very popular among astronauts and bodybuilders. Even for people who go to the gym regularly, they too can have beef jerky after the session as it has a nominal amount of calorie. The food is lightweight as well as tasty to eat, hence people who find it quite helpful are in touch with regular physical exercise find. Another important aspect of beef jerky is its long shelf life. One can easily store the product for nearly six (6) months without any refrigerator and the food quality remains as before. That is why several European people store beef jerky in bulk to consume in coming months. This is one of the major reasons for beef jerky to be popular there and there is a high demand automatically in the supermarkets. So, if you need a snack like an item that will take care of your health too, then beef jerky is your ideal choice.